Passionate yogi, soul surfer and spiritual warrior. Duncan is the original pioneer of contemporary yoga in Australia and the Founder, Master Facilitator and CEO of Power Living. With 14+ years’ of teaching experience behind him, he continues to share his modern-day yoga philosophy with the community. He has an anatomy background in NeuroSpinology, has completed extensive traditional yoga studies with Georg Feuerstein and practiced Raja Yoga for nearly 20 years. 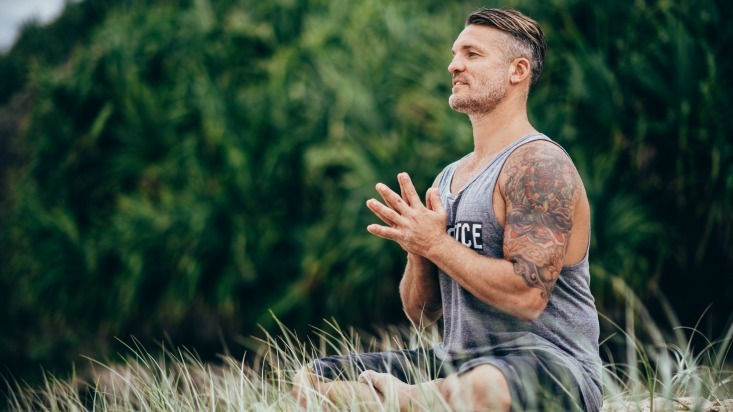 Smashing the traditional yoga stereotypes, it’s his creative vision and courageous spirit that have shaped what Power Living is today: one of Australia’s largest and most successful yoga communities. Nine studios across Sydney, Melbourne, Perth and New Zealand; 12,000 students coming to classes each week; a world-class 200-500hr teacher training program with thousands of graduates globally. He is author of Modern Yoga, creator of multiple yoga DVDs/CDs and launched Australia’s first virtual yoga platform, YOGAHOLICS. Duncan’s classes will take you on a powerful and transformational journey. His teachings blend pre and post-classical yoga philosophies with traditional Hatha, contemporary Vinyasa and Yin Yoga methodologies, influencing their evolution in Australia and New Zealand. Duncan has headlined at Wanderlust Festivals in New Zealand and Australia, supported Michael Franti with his Soulshine Tour at Bluesfest Byron Bay, worked closely with chef Pete Evans and has spoken at Nike events. Today, Duncan owns Power Living with eight other rock stars. Together with an amazing team they run an authentic, modern and visionary business that touches and transforms the lives thousands of people each week. To his team, Duncan is loved and respected for creating an amazing community, inspiring studios, awesome retreats and powerful teacher trainings. He has a unique ability to maintain close relationships with all of the Power Living crew while simultaneously performing the roles of leader, teacher, coach, friend and CEO. Those who spend time with Duncan quickly realise the depth of his knowledge, the extent of his practice and – most importantly – that he is driven by a genuine desire for the wellbeing of others and the ability of yoga to positively transform lives. He spends his time travelling and teaching between the studios and delivering teacher trainings and retreats in Byron Bay, Bali and around the globe. We recommend checking out his classes and trainings: they rock – but get in early as they are usually packed! Lots of support when needed and such a positive vibe.